The Hip-Hop idiom tends to emphasize history. Practically every rap show is going to feature the phrase “F*ck da police” and there are often shout outs to the likes of Tupac Shakur and the Notorious B.I.G. In interviews artists are almost always asked about the music of the late seventies to the turn of the century and the answer often times determines their credibility among listeners. Sometimes the subject of history can be the source of controversy; last year Vince Staples received a lot of backlash after suggesting that Ms Lauren Hill was the only voice he cared about in the nineties. Staples went on to make a decent point on the subject by tweeting, “Bet none of these [guys] arguing about “Hip hop history” are pushing college or education in general nearly as hard to our black youth.” Staples certainly understands Hip-Hop today and his music is very good, however, I believe that Illa J has proven the importance of the past with the release of his self-titled album. After hearing him speak at the Hip-Hop You Don’t Stop Conference (a CKUT co-presentation), it was clear that Illa J has a deep understanding of the roots of his art form and this knowledge certainly comes out in his songwriting. His songs emulate the soul grooves of the likes of D’Angelo and Snoop Doggy Dog in a contemporary manner finding a splendid balance between old and new. The songs on Illa J build from these highly articulated, down-tempo drum beats into large scale funk jams with keyboard sounds and soulful vocals to die for. Illa J himself maintains his laid back, syncopated flow in the middle of it all providing a beautiful sense of contrast. J’s music isn’t reliant on fast flows or fiery lyricism. Rather, his virtuosity is found in his aesthetic creation. It’s almost comparable to the songwriting of Bob Dylan who did not rely heavily on his voice. Instead, his meaningful lyrics and the strength in which they were conveyed provided for good composition. J uses bass lines, keyboard solos, and vocal samples to increase the impact of his vocal presence. This is not to say that J is not a skilled rapper; his flow is highly syncopated providing complex rhythmic tension over his beats that sometimes approaches poly rhythm. For example, despite his beats maintaining 4/4 for the entirety of the album, J will sometimes super-impose the time signature of 3/4 over the top. This is technique is indicative of an advanced rapper, but without the dynamic musicality of his backing track the album would not be successful. Overall, the relative simplicity of his vocal flow avoids monotony through the musicality of the sounds surrounding him. Lyrically, Illa J includes some relatively lackluster lines such as “face like a super model body like a pornstar” from French Kiss and “she’s looking for the baller/she know where they go” from Strippers, but the album also exposes J’s emotional potential on the song Never Left. The song addresses the loss of Illa J’s brother; the famed producer J Dilla. The idea of a dead genius is always the subject of controversy. There are issues of privacy and people and corporations trying to monopolize on the legacy resulting in a much harsher mourning period for the family and friends. The situation must be especially tough on Illa J who pursues the same career path as his late brother. 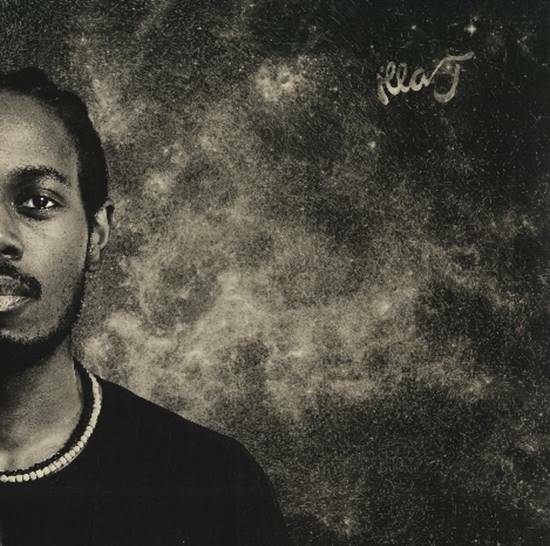 J states that some of the artists who approach him “don’t give a f*ck about [him, they] just wanna rap with some Dilla.” He then goes on to say that the emphasis on J Dilla’s impact “means a lot to [him] but a few of you [artists] don’t mean it honestly.” Illa J also suggests that the stress on Dilla’s death ignores the soul and brilliance of the music itself. Illa remembers Dilla when he’s up in the booth making the music they both know and love and he uses this song to argue that fans and artists in the game right now need to honor J Dilla through music. The subject must be hard to talk about, but Illa J approaches it with beauty and grace culminating in a brilliant piece of music. Illa J’s self-titled album has a lot to offer. The musicality of the backing tracks is very advanced throughout and Illa J himself shows his emotional side through the lyricism of his deeper cuts. He also harkens back to the beats of the nineties in his aesthetic while also maintaining a contemporary sound. The combination of all of these talents proves J as a musician with a heavy awareness of his place in the art form’s history. I would highly recommend this to fans of Hip-Hop fans old and new. This entry was posted in CKUT programming on January 12, 2016 by librarian.